Next Week: A retrospective show about what has been discussed over the last five months and what has been learned about some of those topics since then. Those who might wish to ask questions should put them in the comments section of this post and I’ll try to answer them then. Well, here is something that is interesting. It seems that an off-hand comment I made about the lack of skepticism in some avenues of UFO research has blown up into a debate on what I said about the Roswell case. 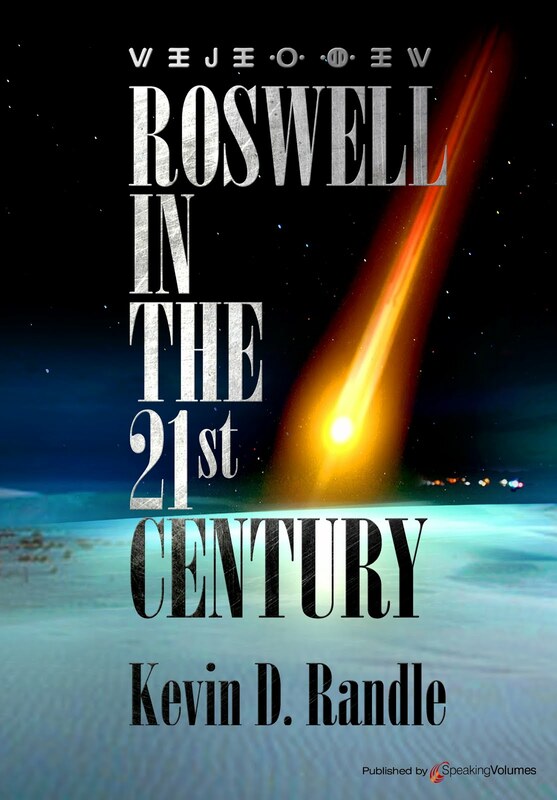 It began with Robert Sheaffer making a few comments on his blog, Bad UFOs, which was based on the very nice review that Jerome Clark had published in Fortean Times about my book Roswell in the 21st Century. From that interview, Robert extrapolated a point of view that might not be exactly what I had do say… though the headline in the Fortean Times suggests a recanting of the Roswell case. On the positive side, for me, it seems to have sparked a debate online and drove a few people to Amazon and other ebook sites which helped sales. I certainly don’t want to do anything to stop the traffic because it is good for me. And there you have it… I go through the whole story, document it as best I can, and in the end, I have to say that the case is built on testimony gathered decades after the fact and that everything we know about memory is that it really is no good when it comes to something like this. I was going to point out some of the interesting things that I learned by going through all this material, but whatever I say will not be heard by one side or the other because they will be too busy formulating their counter arguments to listen. I did find mistakes such as the Lee Reeves tale of accompanying Dan Dwyer to the crash site that is contradicted by so much testimony and documentation that it shouldn’t even be discussed… and if we want to challenge testimony, Charles Moore provides many examples in his ever shifting tale about Mogul. To understand my conclusions, however, it is necessary to read the evidence as has been gathered and the mistakes that have been made. This is a mystery that seems to have no solid conclusion except the skeptics will say that it can’t be alien because interstellar flight is impossible to believers who say there are so many witnesses that something alien must have happened. And to give away just one thing that I learned in the reexamination of all the material was that the Air Force was not originally investigating the case in the 1990s… they were searching for documentation about the crash from all the various agencies that might have had some involvement in the original story. Not all that long ago I asked a general question about the effect of the Roswell Slides on UFOlogy as a whole. Seems that most of those responding on line suggested that the impact was little, especially outside the UFO community. Most seemed to believe that those who did not hold much interest in UFOs were unaware of the whole sorry fiasco. But that came from those inside the UFO community. Those outside, or those who had an interest but didn’t consider themselves part of our community, had a much different take on it. To them, it was a disaster that changed their opinions. In the last couple of weeks I have had occasion to speak with some of those people and by some, I mean four and by speak I mean both on the telephone and through email. One man called me, apologized for the intrusion, and then said that he had been interested in UFOs for decades; that interest beginning as a teenager. He said that it seemed to him that in the last year or so, many of the classic cases had been explained and that the mystery seemed to have been solved. He brought up the Roswell Slides as what he thought of as almost the last straw. The will to believe had been so strong in some that they had missed the red flags waving all over the landscape according to what he said. Another, who emailed me, said that for her the destruction of the slides so quickly once independent researchers had the opportunity to review the data had proved that much of the information being printed in books and magazines or used in documentaries about UFOs was next to useless. The slide investigators had overlooked the information that disconfirmed their belief structure (which, I think, is a problem that we all face). We sometimes look at information that provides a clear alternative view and then find all sorts of reasons to ignore it. There was a guy who wanted to know what to believe and what books to read because he was so unhappy with how the whole Roswell Slides investigation had progressed. Oh, he understood that the investigators had wanted to proceed without interference and speculation until they had some answers. But, once the information had leaked, they should have been more forthcoming, especially now that we had the answers to the questions. He thought it ridiculous that some still clung to the idea there was something alien on the slides and that further damaged his reliance on UFO researchers. The point here is that no matter how we attempt to dress it up, the Roswell Slides was the final straw for some who had suffered through MJ-12, the Alien Autopsy, and the collapse of so many of the Roswell witnesses who had claimed to have been involved deeply, regardless of their positions in the military at the time. I, myself, was fooled by several who seemed to have the proper credentials, who supplied robust stories, and who turned out to have been inventing their tales (and their confirming documentation which is not a phenomenon restricted to UFOs) and claiming higher ranks than they held. The Roswell Slides, which didn’t receive any real reporting by the mainstream media (because of all the other nonsense about UFOs that has been “leaked” over the years) did considerable damage to the Roswell case in particular and UFO research in general. People who had not studied the Air Force report or understand some of the content of it will tell you that it explained Roswell completely and that is that. They won’t have read the report, can’t tell you what was in it, but they remember the Air Force explained Roswell at a press conference that was carried by the cable news channels and in many newspapers. And that is all they remember no matter what else is said or done. The Roswell Slides underscored that point of view, another case of great claims destroyed by proper research and that is the damage that has been done. At one point we had many people interested in learning about Roswell and it seemed that we had evidence to support the alien answer, but the Air Force had better PR than we did. We are left with a negative image of UFO research and researchers by those slides which did not show an alien creature but an unfortunate child. Under those circumstances, what would you think? The thing about the Internet is that it allows you to communicate with people all over the country and all over the world which helps us get at the truth. For example, J. Allen Hynek said the Oskar Linke UFO landing story was in the Project Blue Book files, so I looked for it. 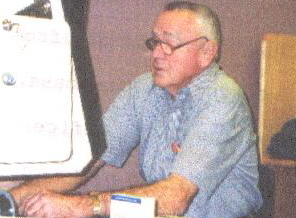 Hynek dated the case as July 9, 1952, but other sources said the sighting was June 17, 1950. I searched the Blue Book index around those dates. July 1952 was a period of intense activity and while, at other times in other years, the index might feature all the sightings received during two or three months on a single page, in July 1952, single dates sometimes took up two pages. In other words, there were a lot of sightings in July 1952. 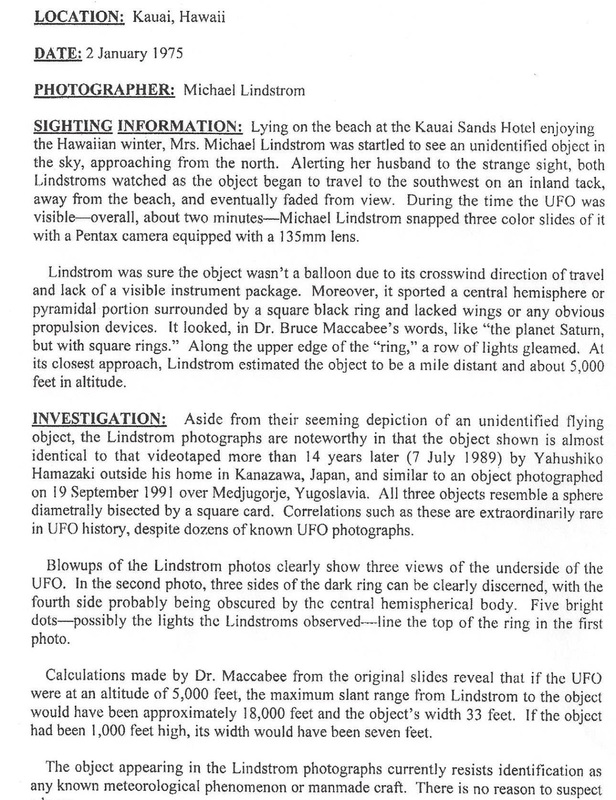 I found nothing in June, July or August of that year that mentioned Linke and his UFO. There was nothing for the sighting around its correct date in 1950 either. I checked for several months on either side of the date. Some of the sources, other than Hynek, also suggested a report in Project Blue Book, which others said wasn’t there. That, of course, took me to Fold3 and their Blue Book file which was a single page entry. I looked at the entries before it and after it, which allowed me to find the entry in the Blue Book index. It is on the page for 1 – 31 March 1952 in the section labeled “Additional Reported Sightings (Not Cases).” It is entry number 1087. It is grouped with a March 15 sighting in Iran and another from Greenfield, Massachusetts. Linke’s sighting (Hasselback, Saxsoni) is from a retyped news clipping and the one from Massachusetts is from the newspaper. The source of the Linke news clipping, which is to say the newspaper, is not identified in the Blue Book file. It is not the same clipping as the one quoted by Hynek in his book, The Hynek UFO Report. 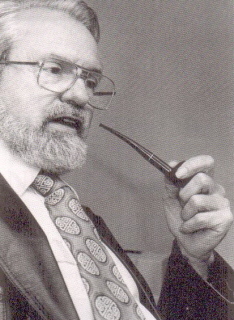 Hynek’s report was from a Greek newspaper and the source is listed as I. Kathimerini. No source is provided for the Iran case. For those of you interested in such things, the report that directly precedes it is from California, and is from either March 31 or April 1, according to Blue Book and therefore has nothing to do with Linke. The Iran case is a single page that describes a luminous object traveling at great speed that probably wasn’t a meteor, according to the file. The sighting was representative of a number of sightings over the Iranian/Soviet border at the time. The Massachusetts sighting is an actual newspaper clipping as opposed to a retyped version and it covers some sightings in that state. There is nothing about Linke in that either. Here’s where we are on this, which says nothing about the sighting itself, but on the reporting of it. Hynek claimed that it came from the CIA, but the Blue Book file does not bear that out. He said it was one of the “unidentifieds” in Blue Book, but the index and the case file do not bear that out. His quotes, apparently from the Greek newspaper, do not match the quotes from the Blue Book file, though the information does match, which of course it would since both reports comes from Oskar Linke. I see nothing on the Blue Book report that identifies a newspaper which is why I say it is not the one Hynek quoted. I thank Ralf Buelow for the information and the link. Topic: His UFO investigations and his books. As many of you know, I’m writing a book which is no surprise because I’m always writing a book of some kind. Sometimes they are even about UFOs. 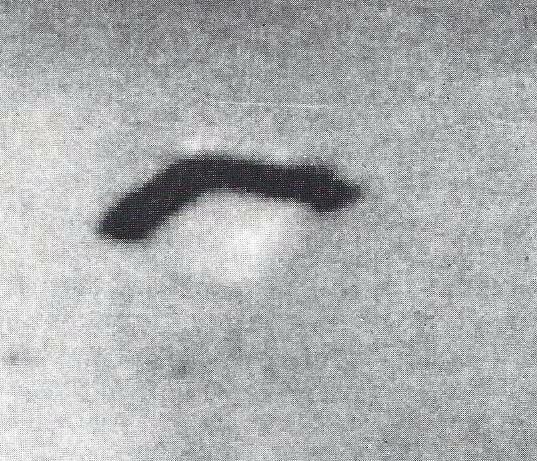 As I was wading through the material, I came across a sighting that Dr. J. Allen Hynek had reported in his The Hynek UFO Report. The details were a little confusing and a typo or two made it even more confusing but I think I have straightened that out, which isn’t important here. 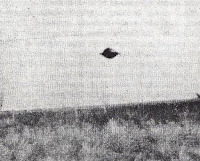 According to Hynek, on July 9, 1952 (or rather the date of the report) Oscar Linke and his daughter saw a UFO in what would have been East Germany. Linke said that he saw two entities and when his daughter shouted at him, those two beings reacted with surprise. They climbed back into their craft and took off. That document is a newspaper report from a Greek newspaper and that’s where the July 9, date came from. Others quoted Blue Book as the source following Hynek’s lead and some had the 1952 date as the correct one. I checked the Blue Book Master Index and found nothing to support a sighting on that date in Germany that involved an occupant sighting. Later I learned that the case was actually from June 17, 1950, and the man’s name was Oskar Linke. That didn’t help because I still found nothing in the Blue Book files about this report. I believe others have also attempted to find it with the same negative results. I’m not here to argue the merits of the sighting, but Hynek’s interesting revelation. He seemed to believe the case was in Blue Book, and as the scientific consultant, especially in the early 1950s; he was privy to a great deal of UFO data collected by the Air Force. I’m not sure how he came into possession of this report because it was classified, though it might have been routinely downgraded at three year intervals until it was ultimately declassified in 1958, and besides, it was from a newspaper which sort of argues against the classification being to protect collection methods. While this clipping came from a Greek newspaper, it was apparently widely reported around Europe about the same time which is two years after the event. No, the important point here is that the CIA was collecting UFO material and providing it to the Air Force. This was some five years before the beginning of Moon Dust (that was 1957 and the document was published in 1952… I mention all this so everyone knows that I’m not talking about the actual date of the sighting). Anyway, I found it interesting that there were secret UFO reports being transmitted and that the CIA was gathering the data from around the world. Since this report was fed into Blue Book, according to Hynek and I don’t know how he would have learned about it otherwise, it suggests that there was another level to Blue Book which we have yet to penetrate. It suggests a real concern for UFO information at some high level of the government. And remember, we have found UFO related documents in the FBI files as well, so there was an interest in UFOs by the intelligence services. All we have is this single little bit of data and in and of itself, the fact the CIA reported it might not be overly important. I might be reading too much into this. I just found it interesting that Hynek mentioned the case was in the Blue Book files, but it’s not, that it was classified as secret and that it came from the CIA. It suggests a higher level of interest in UFOs but doesn’t tell us much about that level of interest. The other day, when I had Robert Sheaffer on the program, I had asked him some questions about skeptics that always bugged me. It seemed, from my perspective, that skeptics would accept any anti-UFO document as authentic without question and reject any pro-UFO document regardless of the provenance. 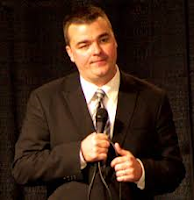 * I had thought the true skeptic would be, well, skeptical of everything until the evidence was in hand, which might mean the acceptance of a document or point of view as logical once the investigation was completed even if that might not reinforce the skeptical beliefs. As an example of this, I suggested that skeptics accepted the Project Mogul explanation as if it had been proven, even when there was sufficient documentation to question it. I used Dr. Albert Crary’s diary and field notes as an example. Since the only possible culprit for dropping metallic debris on the Brazel ranch (and yes, I know that Brazel didn’t own it, the ranch belonged to the Fosters) was Mogul Flight No. 4 because all other flights have been accounted for or had been launched too late to leave the debris, and Crary’s diary said Flight No. 4 had been cancelled, why do skeptics seem to think that doesn’t matter. The point was not to argue about Mogul, but to suggest that the acceptance of that flight as the culprit in the face of the documentation that suggested otherwise seemed not to be a very skeptical position. Again, the point is not to argue the merits of the Mogul explanation, but to question the skeptics about this apparent contradiction. Look at the other side. UFO proponents, who believe Roswell was an extraterrestrial craft, have a similar problem with the Twining Letter. This is a document written in September 1947 that provided information about UFOs and in one line, said that the lack of crash recovered debris which would prove the existence of these objects, seemed to argue against the Roswell crash. Proponents reject it because any alien crash recovered debris would be classified Top Secret and the letter is only classified as Secret. Security regulations would prohibit the inclusion of Top Secret material in a Secret document. This argument is without merit. So we have the same set of circumstances. 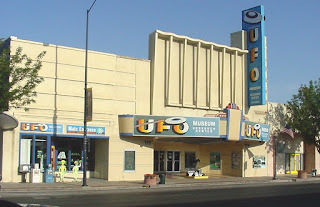 Skeptics criticizing the proponents when the documentation is clear… of course it does not completely rule out the Roswell crash because of the way the document was created**… but then we add other documents to the mix, as I outline in Roswell in the 21st Century, and the support of a UFO crash is significantly reduced. If I can look at this documentation or these documents and admit this, then why do skeptics continue to support the Mogul explanation with the same religious fervor as the UFO proponents support Roswell? Sure, you can say that they launched a cluster of balloons later in the day and we don’t have a definition of what that meant… except that definition was outlined in another document relevant to Mogul. Sure, you can say that the lack of data for Flight No. 4, and the exclusion of it in the data table created for all the other flights means they recovered nothing of scientific value and that suggests the reasons for the exclusion… even when other flights that failed to produce scientific data are mentioned in that table. Aren’t the skeptics now doing the same thing of which they accuse the proponents? Aren’t they cherry-picking the data to support their conclusion and rejecting that data that do not support them? The point of my question then, and now, is that some skeptics seem to ignore what I think of the tenets of skepticism by not applying the same standards to both sides of the question. Are they any worse than the true believers, who know, absolutely know, that there is alien visitation, and reject negative data because of that belief? Shouldn’t the skeptics be questioning all the data before accepting it, and if they don’t, then aren’t they actually debunkers rather than skeptics? What are the reasons for rejecting the documentation supplied by the man who lead the Mogul team (yes, I know it was the New York University balloon project) in favor of testimony from a man who claimed he had launched the Roswell saucer but has no documentation to support his claim? Is this evidence of a double standard in the investigation of UFOs (or any other disputed claim) or is there some reason that allows the rejection of the documentation that doesn’t favor the skeptical argument that I don’t know? I have said, many times, that this shouldn’t be a debate where we ignore the information that is inconvenient, but an investigation in which the truth is the standard. Not my truth, or your truth, or someone else’s truth, but the truth. The question remains unanswered at this point as we’re dragged off into a discussion about Mogul which is a red herring… my narrative here is about skepticism and not Mogul. The conversation has been diverted and this, I hope drags it kicking and screaming back to the point. *Robert Sheaffer did his best to answer the question for himself and I have no complaint about it. I mentioned him only because the point arose in the interview I conducted with him and lead to this longer line of thought. **For those interested, the Twining Letter was written by Howard McCoy in response to information passed to him by Brigadier General George Schulgen and Lieutenant Colonel George Garrett. They supplied 18 specific sightings and asked for analysis. In those sightings, they mentioned nothing about a crash and since the analysis was based on those cases and nothing else, the argument can be made that no mention was made of crash recovered debris because none was submitted with the original request. That is the reason there is nothing about crash recovered debris and not this ridiculous argument about levels of classification. But before everyone jumps on this, there are other documents and statements that are relevant to that discussion (which is not made here) that add weight to the anti-Roswell argument. The point of this, however, is that Rob sent the information to me. There are two photos that appear in the APRO Bulletin for November 1978. The first of the pictures was taken by Saul Janusas who was on business in Brazil. He had been at the Rio De Janeiro airport on either June 20 or 21, 1978, and had caught the bus home. Through the bus window he saw an object. He grabbed his camera and took two pictures. Rio newspaper, said they could find no evidence of a hoax, which, in reality meant they could find nothing that suggested the negative had been manipulated in some fashion. This briefly, is the information about these two cases. The objects do resemble that of the object in the first picture supplied by Rob Swiatek. This shows that some of the photographs, taken years apart, do sometimes reveal objects that look similar. While this might not be of overwhelming importance, it certainly is interesting. 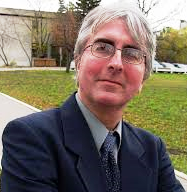 Topic: Canadian UFO Research (Yes, an international show). For those of you keeping score at home, I had sworn off publishing anything more about Treasure Quest – Snake Island (which has nothing to do with Snake Island this season) but the last episode outraged me. Keith “Cappy” Plaskett had collapsed in the jungle and when the rest of the team reached him and touched him, he began screaming and curling up into a ball. He then said something about Vietnamese and later we’re told he had a flash back to his Vietnam service. I’m always suspicious of those claims and read a statistic that suggested there are only 880,000 Vietnam Vets still alive though some nine to thirteen million people claim service in country. The vast majority of people who claim they are Vietnam Veterans are lying about it. So, they reach Plaskett and suddenly one of the team members is screaming for the doctor and I’m thinking, “What doctor?” But, of course there is a doctor with them, along with cameramen, and sound engineers and other support personnel that we never see (until this show when the cameramen are shown in the background. Do the camera operators drag all that heavy equipment through the jungle themselves or do they have help? Just how large is that support team? Who all is on it?). Okay, that’s no surprise because it would be impossible for all of the team to appear on film together with changing angles and whatnot without there being camera operators around. Here, however we get the proof because the doctor appears and suggests that Plaskett is dehydrated. He doesn’t seem to respond at first, but eventually comes around telling them that it was a flash back from one of his two tours in Vietnam (and I have to wonder again if I’m the only service member in the world who had only a single tour). Although his team understands about PTSD, and there is a cheesy announcement at the end of the episode about helping our vets, I’m outraged that they would bring this into a faked reality show about treasure hunting in Argentina for the purpose of building dramatic ratings. And, knowing that so many “Vietnam Vets” are vets only in their minds, I did a little checking. Posted to Plaskett’s Facebook page are pictures of him receiving a medal while in uniform. One of the pictures is of sufficient quality that I can see the medals he’s wearing and they include the Vietnam Service and Vietnam Campaign which, given the circumstances confirms a tour in Vietnam but not necessarily two. And, given that picture, I have no reason to doubt other aspects of his claim of lengthy naval service. As I say, I’m just annoyed that they brought this PTSD thing forward in a dramatic way. It reinforces a stereotype of the Vietnam Vet. 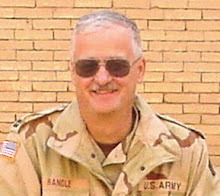 Back in the old days, when I had a real job that required I go to an office every day and do work to make a living, I let it slip one day that I had served in Vietnam (and hey, if you want proof, go to the 187th AHC web site and look me up). One of the other employees couldn’t believe it. She said, “But you seem so normal.” So, yes, I’m a little sensitive to this and really don’t need to see it exploited on television in this cheap way. I’m not going to comment on this unless I do a little checking myself which, given the Internet and Google Earth, isn’t all that difficult. I found the grid coordinates for Reduccion de Neustra Senora de Santa Ana which are 27 degrees 23 minutes South and 55 degrees 34 minutes west, which puts us in a field with highways running very close to it. No journey on a river into the remote jungle, no long trek through the thick vegetation, but a highway that runs very close and a town not too far away. In fact, you can stay in a Sheridan Resort Hotel for about three hundred bucks a night, which includes a buffet breakfast… so do the treasure hunters remain the jungle, in their tents, or do they set them up, talk about roughing it and retire to a hotel which probably has Internet, HBO, and that buffet breakfast? Sure the jungle around them is remote and filled with dangerous creatures, but remember some of the Guarani showed up demanding to know what they were doing and eventually invited them to meet with village elders. Wasn’t one of these guys wearing an “Old Navy” T-shirt? Doesn’t that suggest the village might not be quite as remote as they suggest? And doesn’t it seem odd that some guy in a black market in Paraguay tells them he had a silver bar from this mission when it is apparently a big tourist attraction in Argentina with operating hours and recommendations for accommodations? Not to mention, didn’t anyone on the show think that some of us would resort to using the Internet to learn a little bit more about all of this? In the world today, it is very simple to use a variety of search engines to discover just what is going on and seeing just how “remote” the area is, and then find the hyperbole more than a little annoying. 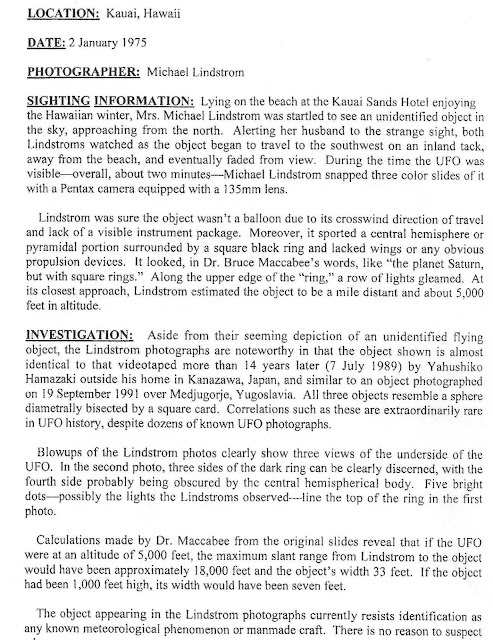 For those of you who were interested in the Kauai, Hawaii UFO photograph we discussed, Rob supplied additional information after the show. Following is the report and a black and white copy of the photograph. For an in depth analysis of the photograph see Bruce Maccabee, “A Rare Photo Coincidence,” in International UFO Reporter for May/June 1990, pages 4-9, 22. Topic: Bad UFOs (The name of his book). For those interested in the Iranian fighter case, you can read a longer synopsis in the following article. The series of sightings began with a routine telephone call made to the control tower at the Mehrebad Airport in Tehran. The night supervisor, Hossain Pirouzi, would later say that the first telephone call came in at about 10:30 p.m., from the Shemiran area of Tehran. The woman said that the object was about 3,000 feet above her, that its color changed from orange to red to yellow. It had a shape that she described as a fan with four blades. She wasn’t sure if it was a single object or two because it seemed to sometimes separate into two distinct pieces. Pirouzi told her not to worry about it because he would check it out. But he didn’t bother to check it out. His radar systems were down because they were undergoing repair. At 10:45 p.m., he received a second call from a woman who had been on the roof of her house when she saw an object seeming to dart around. Like the first, she wasn’t sure if there was one object or two. She said that they seemed to divide into two and then joining up again. As he had done with the first, Pirouzi told her not to worry about it. He said that the object looked like a bright star to the unaided eye, but through the binoculars he saw a rectangular shape that was about 6,000 feet overhead. Both the right end and left ends were blue and there was a red light in the center that while not flashing seemed to be rotating. The object also seemed to be oscillating. Interestingly, four aircraft that transited the area reported that they had received an emergency radio beacon signal. They called the tower to ask if there had been some sort of aircraft accident or a crash but of course there were none. With this new information, Pirouzi began to worry and decided that it was time to alert the Iranian Air Force. At 12:30, now on September 19, Pirouzi called the duty officer and told him what he had seen. There still was no radar contact and other facilities that were alerted had nothing showing on their screens, but the distances and mountains might account for that. The Duty Officer also alerted General Parviz Youssefi, who stepped out on his porch and saw the object. It was Youssefi who contacted the other radar facilities asking what they had on their scopes. Even without the radar confirmations, Youssefi ordered an F-4D Phantom into the air to investigate. The Phantom launched at 1:30 a.m. and the pilot spotted the UFO almost immediately. 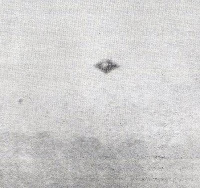 Using Pirouzi as a relay, Youssefi ordered the aircraft to get as close as possible to the UFO to get a good look at it but to do nothing else. The pilot approached above the speed of sound and said the object was about half the size of the moon, and that it had violet, orange and white lights that were much brighter than moonlight. He chased the object until he thought he was over the border and into Afghanistan. At that point he turned to head back to Tehran and saw that the object was still in front of him, but closer to Tehran. He was ordered to close on the UFO and when he was about 30 miles away his avionics, radios and electronics failed. When he maneuvered away from the UFO, the electronics came back on line but he was now running low on fuel. He had to end the chase. At 0140 hrs [when] a second F-4 was launched. The backseater [the radar officer who sits behind the pilot in the F-4 cockpit] acquired a radar lock on at 27 NM [nautical miles] 12 o’clock position with the VC [rate of closure between the fighter and the object] at 150 NMPH [nautical miles per hour]. As the range decreased to 25 NM the object moved away at a speed that was visible on the radar scope and stayed at 25 NM. The size of the radar return was comparable to that of a 707 tanker. The visual size of the object was difficult to discern because of its intense brilliance. The light that it gave off was that of flashing strobe lights arranged in a rectangular pattern and alternating blue, green, red and orange in color. The sequence of the lights was so fast that all the colors could be seen at once. The object and the pursuing F-4 continued on a course to the south of Tehran when another brightly lighted object, estimated to be one-half to one-third the apparent size of the moon, came out of the original object. This second object headed straight toward the F-4 at a very fast rate of speed. The pilot attempted to fire an AIM-9 [sidewinder] missile at the object but at that instant his weapons control panel went off and he lost all communications (UHF and interphone). At this point the pilot initiated a turn and negative G dive to get away. As he turned the object fell in trail at what appeared to be about 3 – 4 NM. As he continued in his turn away from the primary object the second object went to the inside of his turn then returned to the primary object for a perfect rejoin. Shortly after the second object joined up with the primary object another object appeared to come out of the other side of the primary object going straight down at a great rate of speed. The F-4 crew had regained communications and the weapons control panel and watched the object approach the ground anticipating a large explosion. This object appeared to come to rest gently on the earth and cast a very bright light over an area of about 2 – 3 kilometers. The crew descended from their altitude of 25,000 to 15,000 and continued to observe and mark the object’s position. They had some difficulty in adjusting their night visibility for landing, so after orbiting Mehrabad [Airport] a few times they went out for a straight in landing. There was a lot of interference on the UHF and each time they passed through a mag. [magnetic] bearing of 150 degrees from Mehrabad they lost their communications (UHF and interphone) and the INS fluctuated from 30 degrees to 50 degrees. The one civil airliner that was approaching Mehrabad during the same time experienced communications failure in the same vicinity (Kilo Zulu) but did not report seeing anything. While the F-4 was on a long final approach the crew noticed another cylinder-shaped object (about the size of a T-bird at 10M) with bright steady lights on each end and a flasher in the middle. When queried the tower stated there was no other known traffic in the area. During the time that the object passed over the F-4 the tower did not have a visual on it but picked it up after the pilot told them to look between the mountains and the refinery. During daylight the F-4 crew was taken out to the area in a helicopter where the object apparently had landed. Nothing was noticed at the spot where they thought the object landed (a dry lake bed) but as they circled off to the west of the area they picked up a very noticeable beeper signal. At the point where the return was the loudest was a small house with a garden. They landed and asked the people within if they had noticed anything strange last night. The people talked about a loud noise and a very bright light like lightning. The aircraft and area where the object is believed to have landed are being checked for possible radiation. a. the object was seen by multiple witnesses in different locations [(i.e., Shemiran, Mehrabad, and the dry lake bed) and viewpoints (both airborne and from the ground)]. b. The credibility of many witnesses was strong (an Air Force general, qualified aircrews, and experienced tower operators). c. Visual sightings confirmed by radar. d. Similar electromagnetic effects (EME) were reported by three separate aircraft. e. There were physiological effects on some crew members (i.e., loss of night vision due to the brightness of the object). f. An inordinate amount of maneuverability was displayed by the UFOs. 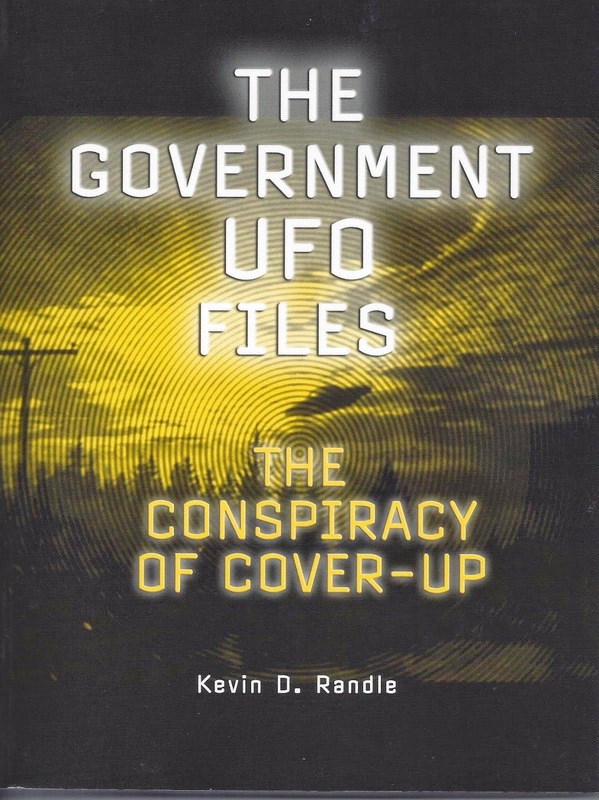 The final comment about this in the COMETA report is, “The attempt by Klass to trivialize this case shows how solid it is.” This refers to Klass’ book, UFOs: The Public Deceived in which he claimed that the first witnesses saw Jupiter and pilot incompetence and equipment malfunctions accounted for the remained. But one of those ground witnesses was General Youssefi who eventually ordered the interceptors into the air. When the launching airfield is taken into consideration which was west southwest of Tehran and the distance the first fighter traveled, Jupiter was about 90 degrees off where the UFO was reported. Klass also claimed that the Westinghouse technician who was stationed at the Shahrokhi Air Base said that only the first of the F-4s reported equipment failure and that particular aircraft was known for equipment failures and had a history of electrical outages. This same man also suggested that the F-4 radar could have been in manual track causing a wrong interpretation of the radar lock. Or, in other words, the radar officer in the rear seat of the F-4, made an error that caused him to believe he had radar contact. And keeping with his belief that meteors cause many UFO sightings, Klass pointed out that the Gamma Percids and the Eta Draconids meteor showers were at their height. He believed that it was likely that witnesses had been fooled by bright meteors. He also suggested that where the falling light that supposedly crashed they found a beeping transmitter that came from a C-141 aircraft, according to a report filed by Lieutenant Colonel Mooy. But that isn’t exactly accurate. According to Mooy’s report, “… but as they circled off to the west they picked up a very noticeable beeper signal. At the point where the return was the loudest was a small house with a garden. They landed and asked the people within if they had noticed anything strange last night. The people talked about a loud noise and a very bright light like lightning….” So there was no mention of a C-141 in that report. No satisfactory explanation for the incident has ever been proposed, though Philip J. Klass, author of several debunking books on UFOs, would attempt one. In Klass’s view, the witnesses initially saw an astronomical body, probably Jupiter, and pilot incompetence and equipment malfunction accounted for the rest…. Klass’s theory presumes, without clear or compelling evidence, a remarkable lack of even rudimentary observing and technical skills on the parts of the Iranian participants. In some ways it would be easier to credit the notion, for which no evidence exists either, that the witnesses consciously fabricated the sighting. Or, in other words, the skeptical argument against the reality of the sighting fails because of the assumptions made about evidence that does not exist. Klass is forced to invent explanations rather than look at the evidence that is gathered. And this does not address his dismissal of the aircrews as incompetent, based it seems, on their nationality rather than their actual abilities. I hadn’t really gotten into this season’s Oak Island other than to note that they have found the money pit. By that I mean they’re planning to dump two million dollars into the ground where they believe the original hole had been dug. It means that they are throwing two million into the ground and I will wager big dollars that when all is said and done, they’ll have another big hole in the ground but no treasure. They will have spent two million creating a money pit. But what got me was their diving down into a well some twenty miles from Oak Island where they believe they found a “Templar’s Cross” suggesting the Templars had been there hundreds of years ago. As a diver was lowered into the well, he found symbols marked on the rocks used to line the well. On one of these they called a “King’s Mark” which, it seems to me, they attempted to relate to the Templars. Broad Arrow Mark found in Australia. The thing is, that mark, or one like it, apparently didn’t come into use until Henry VIII created the Office of Ordnance. Then this broad arrow mark was used to mark objects bought by the King’s money. More importantly, it became widely used around the world. There are no indications that the Templars used it for anything and the fact that it appears on a stone in a well in Canada is of little real significance. It was used to mark trees here in North America (which I know includes Canada so don’t point that out) and in England and Australia used to mark prisoner’s uniforms. It marked roads and government property. It marked lots of things and is quite common. The point here is that there was nothing to link the broad arrow to the Templars and no real reason to become excited when it was found on a rock in Canada. This is just more hype to keep us tuning in and after so long with so little to show for it, I probably won’t be one of those watching any more. There is too much nonsense and too little pay-off, except for those involved in the production and broadcasting the show. They’re the ones reaping the treasure.